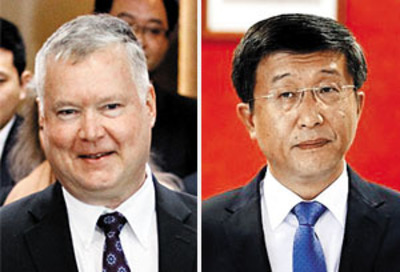 North Korean Vice Foreign Minister Choe Son-hui is expected to meet the U.S. Special Representative for North Korea Stephen Biegun in Stockholm soon, sources said Tuesday. Choe arrived in Beijing that day before boarding a flight to Stockholm. A government source here said, "It seems that Choe and Biegun will meet in Sweden" to discuss a second summit between North Korean leader Kim Jong-un and U.S. President Donald Trump. Asked about her destination at Beijing Capital International Airport, she said, "See you at an international conference in Sweden." 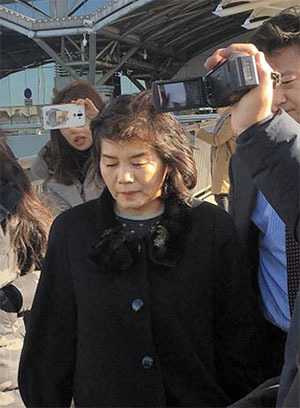 Originally, Choe had been expected to accompany Kim's right-hand man Kim Yong-chol to a meeting with U.S. Secretary of State Mike Pompeo in Washington later this week. But a Swedish private organization invited the two sides to an international conference there, and Choe rather abruptly accepted. A government official here said, "We're considering sending our chief nuclear negotiator Lee Do-hoon" to the event, which is supposed to bring together representatives from the countries involved in abortive six-party nuclear talks with North Korea.